The loss of a family member is a very difficult experience. 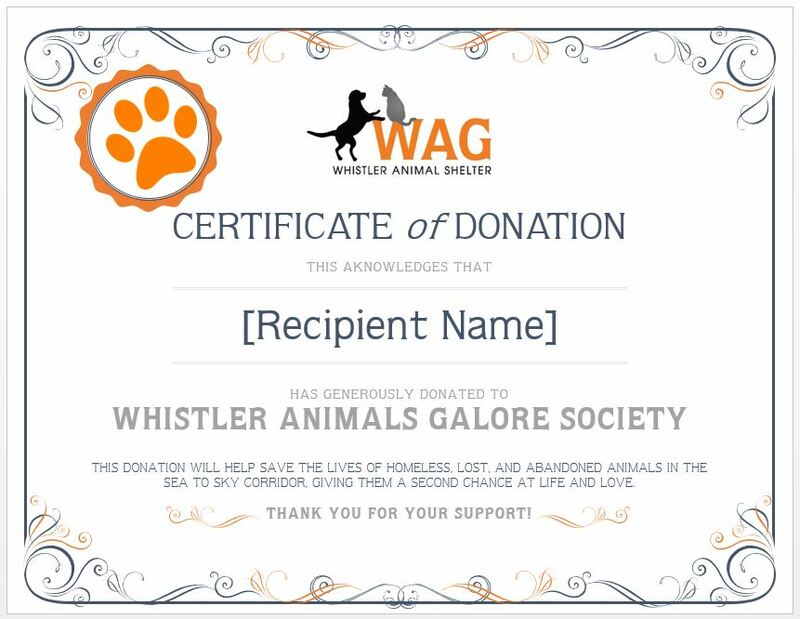 Making a donation to WAG is a way to honor beloved family members while helping animals currently in need of care. 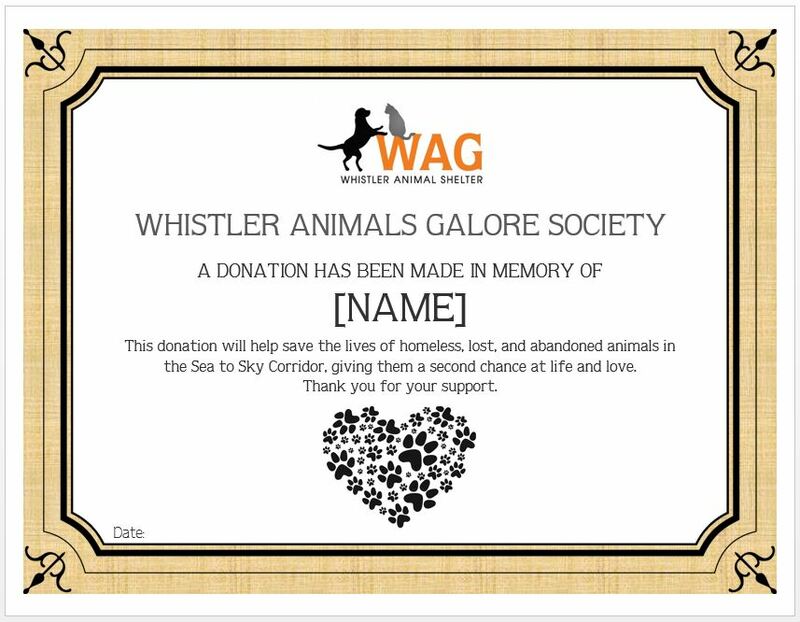 WAG will provide a custom made Memorial Certificate, and a description of the animal that will benefit from your generous gift. These cirtificates make a great gift or the perfect way to say “thanks” to someone you love. 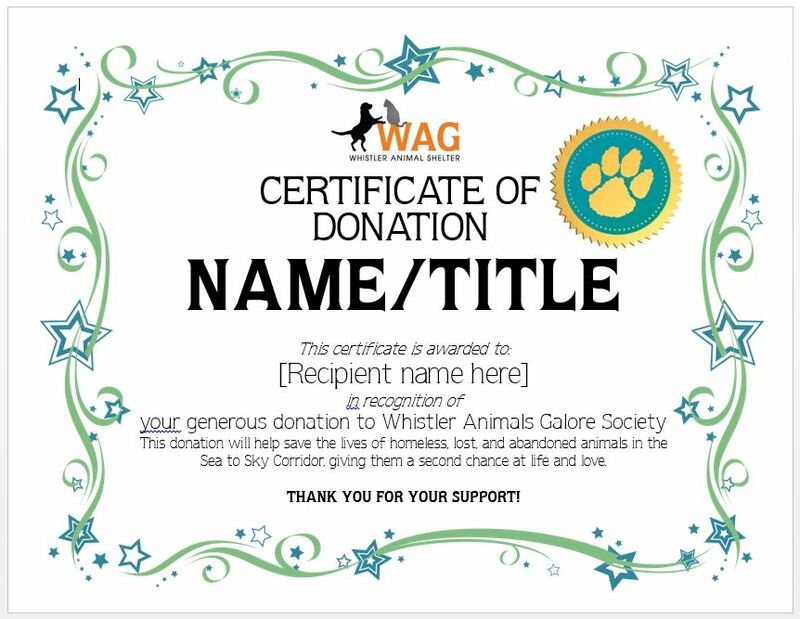 Do you know a special young person that is making a contribution to WAG? 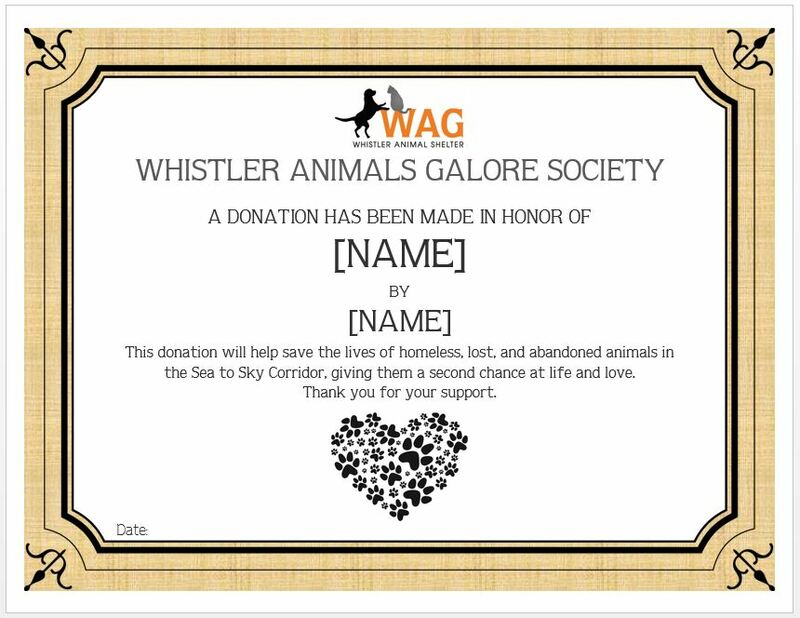 Honor them with this great certificate!